Spotify officials have announced the company will be conducting a press conference on November 30 in New York to discuss a new direction for the company. The Spotify media invite doesn’t reveal much in the way of what will be announced, a common tactic used to build anticipation and media attention. 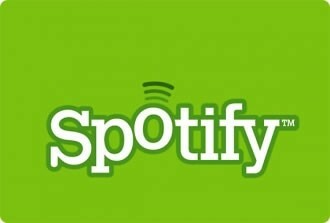 AllThingsD asked Spotify for more information on the event but they were simply told that the event would showcase the latest development from Spotify and a new direction for the company. CEO and founder Daniel Ek will speak at the event and will be joined by unnamed special guests. Without much else to go on, media outlets are left to speculate what Spotify might be working on. One thing that makes a lot of sense is to introduce a way for users to buy and download MP3s from within the Spotify app. This feature is already active in Europe but music shoppers in the US have to hit iTunes, Amazon or Google to spend their hard earned money for à la carte downloads. AllThingsD also thinks we could see an iPad application for Spotify, although as they point out, neither of these features are really worthy of a full-on press conference. There’s a myriad of other smaller possibilities as well like adding new record labels, expanding to other countries, adding radio streaming or adding video support. Of course all of this is speculation and we won’t know anything solid until next week. What new features or services would you like to see added to Spotify?